The original post for this idea was on Facebook. I went to the following URL http://bit.ly/1vDbFGQ for the actual instructions and illustrations on the making of the gumball machine. 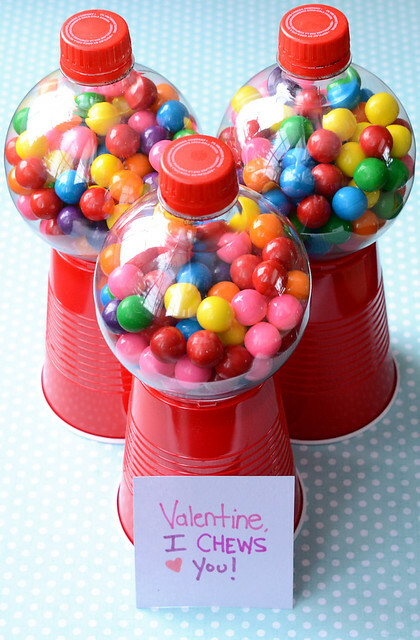 Even though the original is for a valentines day project, this may very easily be adapted to a Christmas project, or just a Birthday project using almost any color scheme. 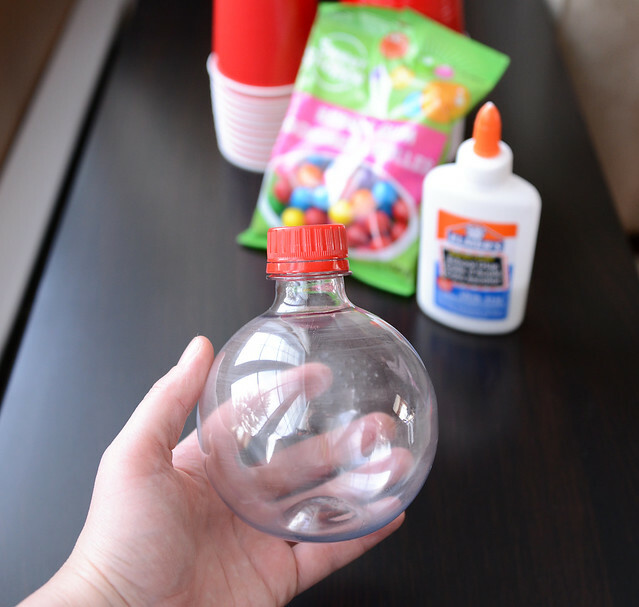 These look really easy to make. I hope parents and children have fun making them. I’ve had this idea floating around in my head ever since I purchased these adorable little Christmas ball Coca-Cola bottles at Christmas. 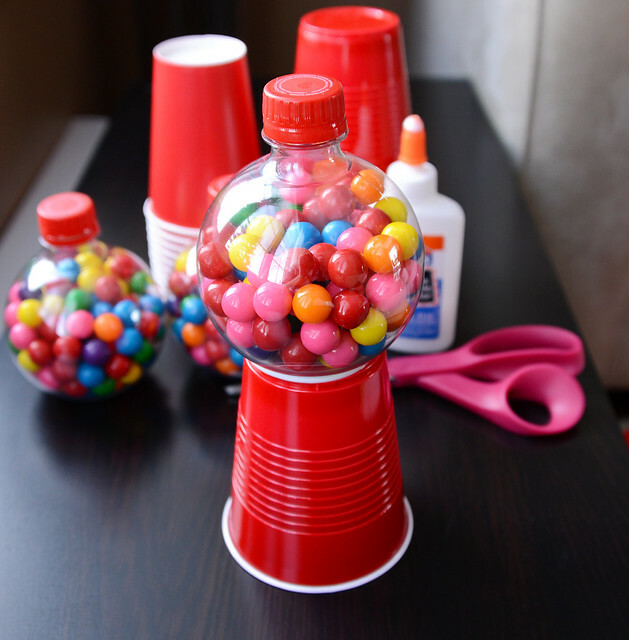 I don’t know why, but as soon as I saw these bottles I thought they would make an awesome gumball machine craft. 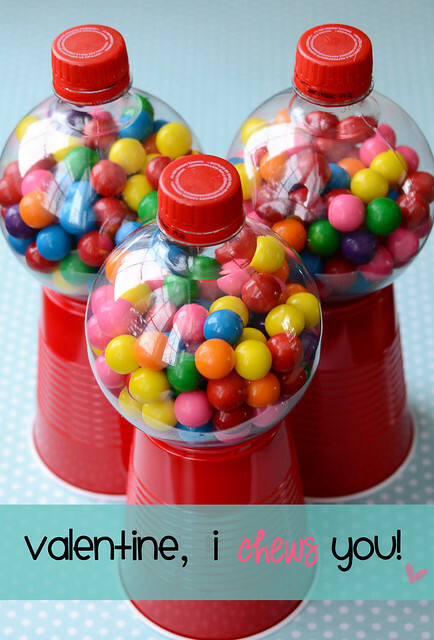 The kids and I made these last weekend, and they were so easy to make. You can whip up these cute little babies in about a minute. These would make an awesome Valentine’s gift for all the special littles in your life – I know my kids loved them! 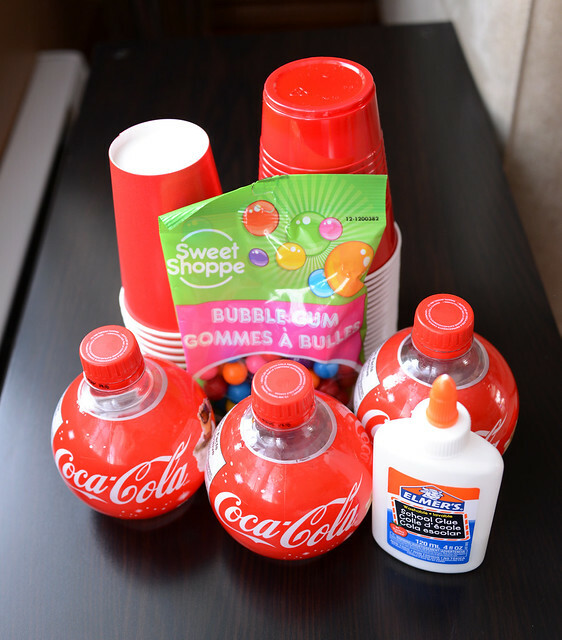 Grab your Coca-Cola bottle and remove the label. Wash and thoroughly dry the bottle. 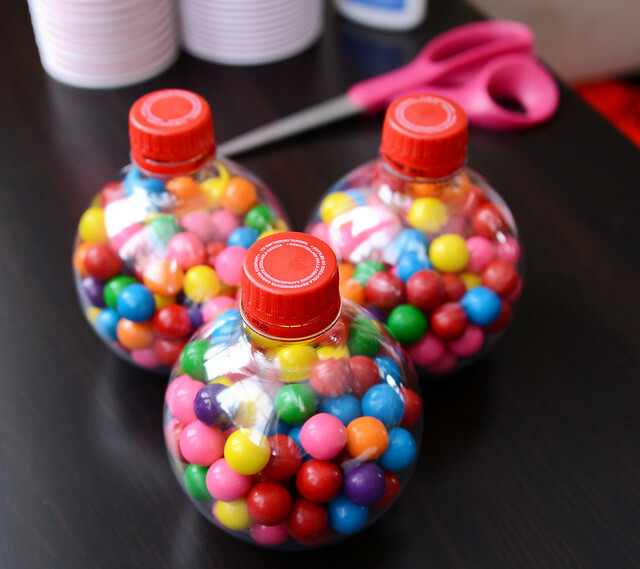 Fill your Coca-Cola bottle with gumballs. 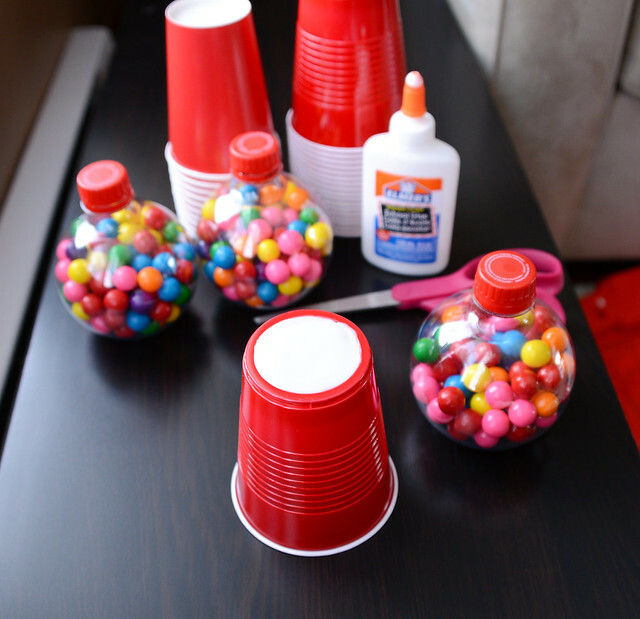 Turn your red solo cup upside down and cover the bottom with glue. 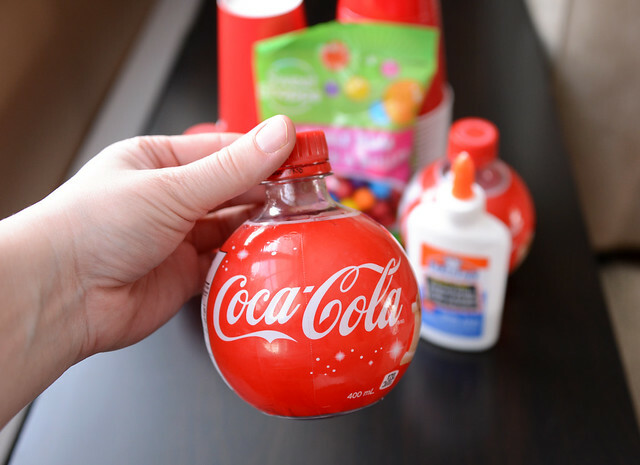 Stick your Coca-Cola bottle on top and allow to dry! 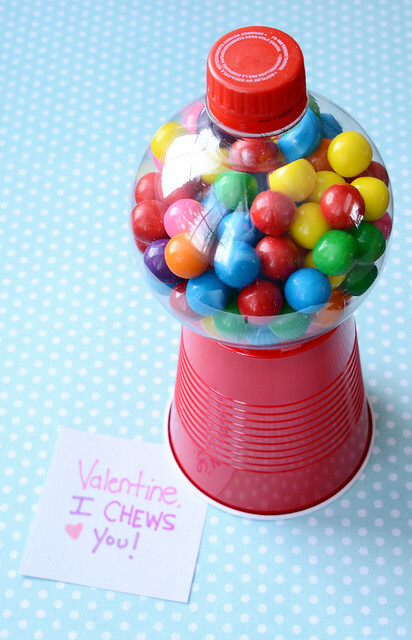 Write a sweet little note for your Valentine, and you’re done! This entry was posted in DIY Projects, Just For Fun And Laughs, Other People's Experiences on December 1, 2014 by bonnie.